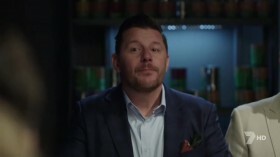 Plot............ Channel Seven is heading back to the kitchen - from the makers of the successful cooking series My Restaurant Rules comes a new show My Kitchen Rules! This series will travel the country to find Australia's best home-cooking team. In a unique twist, the teams-of-two in My Kitchen Rules will do battle from their own kitchens in each State.The aspiring foodies will have to cook up their culinary tricks, quirks and use local ingredients to impress the judges whose city will rule in the kitchen? The home chefs will also have to transform their home into an instant restaurant for one pressure-cooker night. The competing teams will have to work against the clock to deliver a winning dining experience. Are you passionate about cooking and entertaining? Does YOUR Kitchen Rule?